Easy Zipper Sheets – Kids Love Making Their Beds! Looking for the perfect kids sheets? We have them! These zipper sheets have a unique design where the fitted sheet and flat sheet are attached at the foot of the bed and part way up both sides. There is an area left open for ventilation and zips the rest of the way up. The benefit is, they keep the kids tucked in all night long so they sleep better and so do you. 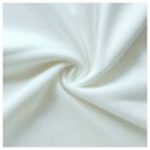 Made of 100% super soft cotton, these are machine washable and now, they may be tumble dried. SKU: PLAIN-WHITE-DB. Categories: Kids Zip Sheets, 100% Cotton, Full Size, Shop. Tags: boys, cotton, full, girls, kids zipper sheets, white, zip sheets, zipper bed sheet, zipper fitted sheet, zipper sheets crib size, zippered fitted sheets, zippered sheets. 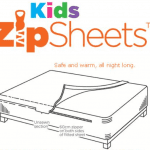 Zipper sheets that keep kids tucked in all night long! Consider Zipper Sheets for your Bunk Bed Sheets! 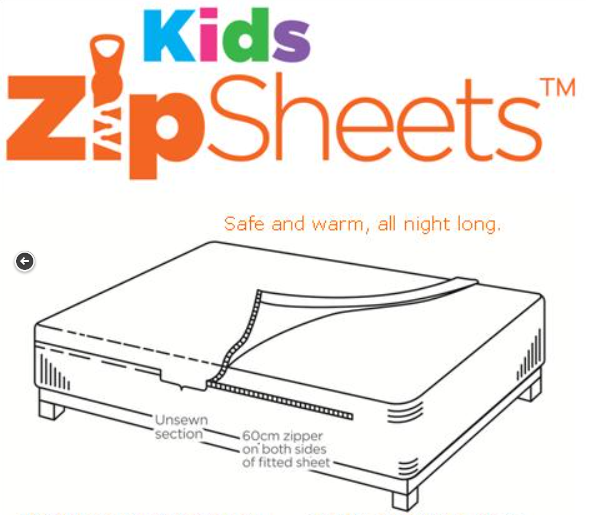 Not only are these cotton kids zipper sheets super comfortable, they have built in zips to help keep the kids tucked in all through the night. This unique product comes with the fitted sheet and top sheet sewn together at the foot of the bed and part way up both sides. There is a span of open area for ventilation with zippers the rest of the way up. Leave it zipped the whole way up or part way. Leave one side zipped and the other open. In the morning, zip both sides up and the bed is made. It’s that easy! Throw your comforter, quilt or blanket on top or use the brightly colored Kids Zip Sheets alone. They will make a bunk bed or any bed look tidy with just the sheets. This sheet set will fit standard full size mattresses (75″ x 54″) up to 14″ deep. Recommended for children ages 2-12 on any bed type. View our complete line of zip bedding! To learn more about zipper sheets, read 14 things to know about zipper bedding. Zipper sheets are a great choice when shopping for sheets for bunk beds. The sheets go on like a fitted sheet and there is zero tucking. 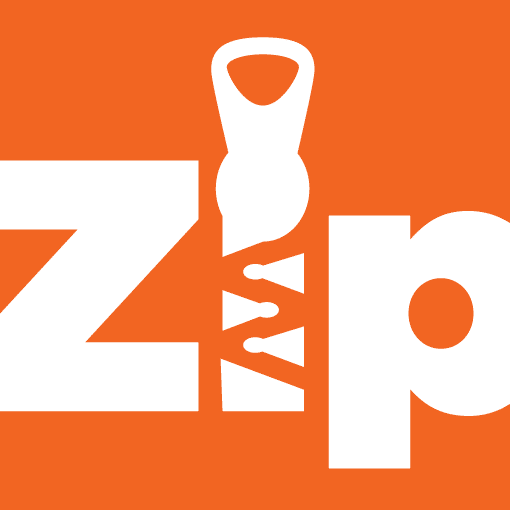 Simply unzipit or zipit! For a limited time, we are offering $10 off all sets of Kids Zip Sheets (shown in the markdown price – no coupon code needed), Free shipping on 2 or more sets, and Free gift wrapping through Dec 25th, 2015. See GIFT WRAP for details.